On the cover of Nature Catalysis! Our recent publication on “Dual-Catalytic Transition Metal Systems for Functionalization of Unreactive Sites of Molecules” is featured on the cover of the February issue of Nature Catalysis! See more. New publication in Nature Catalysis! The paper on the study of dual-catalytic systems by Dawid, Yang and Karolina has been published as an Advance Online Publication: Dual-Catalytic Transition Metal Systems for Functionalization of Unreactive Sites of Molecules, Nature Catalysis (2019). Congrats to all! Sylwester Domański (financed by NSC Etiuda Doctoral Fellowship) joins the group as a visiting researcher. Welcome Sylwester! Open Ph.D. and post-doctoral positions for Reverse&Cat ERC StG 2018! 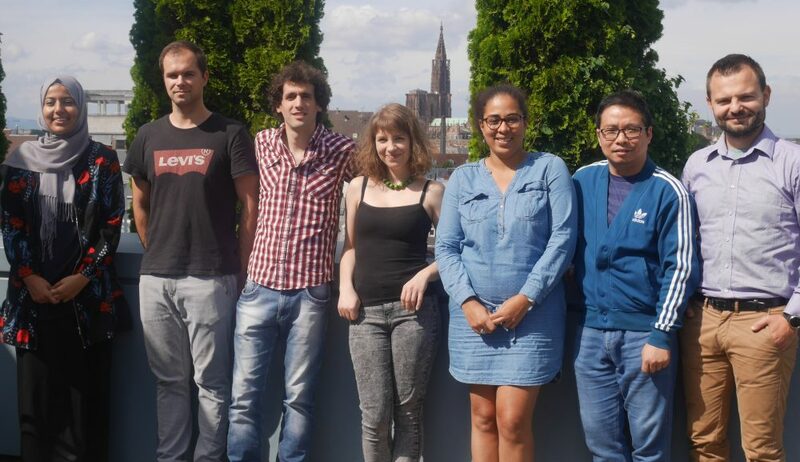 We seek to hire outstanding researchers at the Ph.D. and post-doctoral level to join our Laboratory at the Institute of Science and Supramolecular, University of Strasbourg. The successful candidates will be involved in the realization of the research program founded by the European Research Council ERC StG 2018 ‘Reverse&Cat’. For more information see Open-positions or contact dydio@unistra.fr. Nikola Bregovic joins the group! Nikola Bregovic, a visiting researcher from the University of Zagreb, Croatia, joins the group as a postdoctoral scholar for the winter (financed by the scholarship granted by the French government). Welcome Nikola! Sebastián Martínez joins the group! Sebastián Martínez (awarded the Solvay FRC Doctoral Fellowship in Chemistry funded by the Ernest Solvay Fund and the FRC Foundation in honor of Ernest Solvay and Guy Ourisson) joins the group as a PhD student. Welcome Sebastián! Paweł awarded ERC Starting Grant “Reverse&Cat”! The ERC Starting Grant proposal “Reverse&Cat” has been awarded: https://erc.europa.eu/news/mini-organs-ultrafast-filming-erc-invests-early-career-researchers.